The Shiv Sena has been at loggerheads with the BJP for quite a long while and has at many times questioned the Modi government policies. 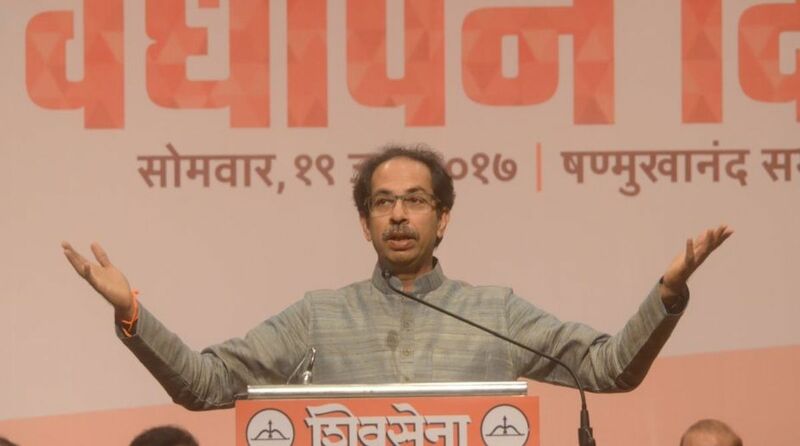 Days after NDA’s oldest ally Shiv Sena decided to stay away from the no-confidence motion debate in the Parliament, party chief Uddhav Thackeray on Monday challenged Prime Minister Narendra Modi, sending out clear signals of the widening rift between the two parties. Thackeray said his party didn’t need someone else’s shoulder to shoot the prey, and neither would he be a shoulder of support for someone else. “I can shoot, but I don’t need to shoot from someone else’s shoulder. Nor will I need a gun for the hunt,” Thackeray said in a video interview for party mouthpiece Saamana. “Many a times, the prey doesn’t need a bullet to get killed, it just falls after running for a long time,” he added. Thackeray’s comments come a day after BJP president Amit Shah said the party would go it alone in Maharashtra for the 2019 Lok Sabha polls. He also asked partymen to prepare to fight general elections solo in the state. The Shiv Sena has been at loggerheads with the Bharatiya Janata Party for quite a long while and has at many times questioned the Modi government policies. He said though his party was a part of the ruling combine, it was much more dedicated to the demands of the common people.